Our lovely and prolific Rosie just finished this store sample, the Shibui Mix no. 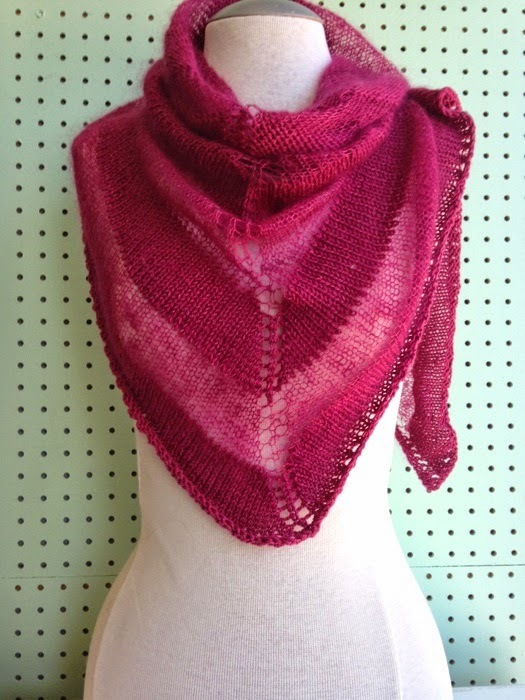 3 Shawl, made with sumptuous Shibui Staccatto and Silk Cloud! I was planning it as a kit for the upcoming Toronto Knitter’s Frolic (please don’t forget to take our survey), but it was so lovely I dropped everything and immediately whipped up the kits and put them out. I don’t know if the kits will last the month until to the Frolic, but I’m sure I’ll come up with something else, equally wonderful and clever. Kits are available in store and in our online store. At Shibui, sometimes two strands are better than one. They are very into combining yarns to create incredible aesthetic effects. 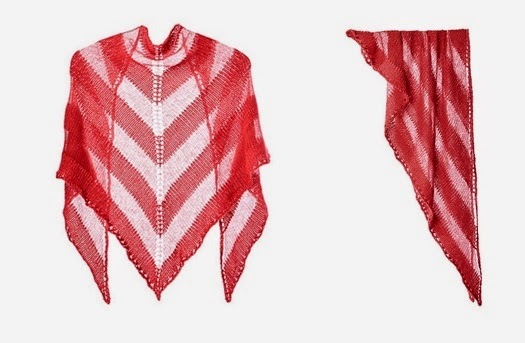 This shawl alternates stripes of a single strand of Shibui Silk Cloud (silk & softest kid mohair) and two strands of luxe Shibui Staccatto (squishy silk + merino with a slight sheen) held with Shibui Silk Cloud. The overall effect is soft and airy, yet also geometric – very modern, elegant, and never boring. 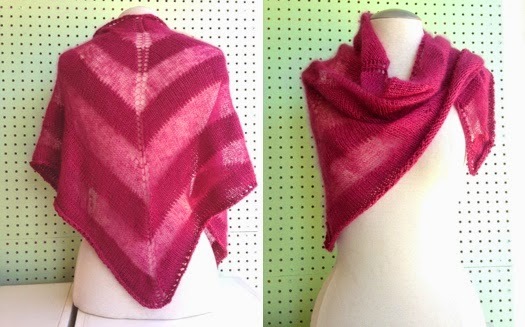 This entry was posted in kit, shawl, shibui on March 23, 2015 by Knit-O-Matic.